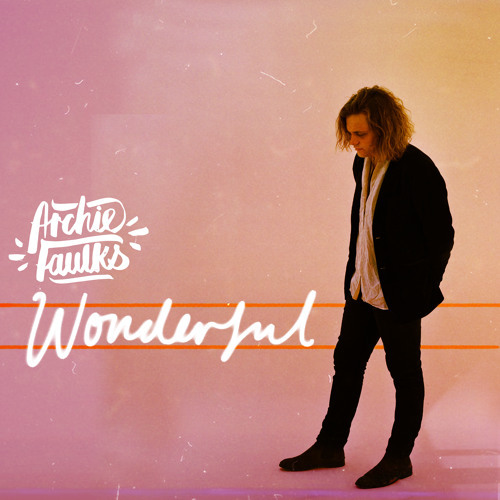 British singer and songwriter Archie Faulks has just unveiled his brand new single Wonderful and I am absolutely in love with it. As most of you may know, I am a sucker for melancholic songs and Wonderful is a beautifully crafted melancholic love song displaying Archie’s alluring vocals and guitar alongside a stunning string section. This is such a gem of a song guys!! Archie sure knows how to pull on those heartstrings and instantly gave me the feels. I am addicted to this magical song and I think you guys will love it as much as I do. Check it out below! ‘Wonderful’ is a song inspired by the melancholy associated with the inevitable passing of time and the effect of it on the relationship of two people. A once glorious thing that, due to different paths chosen in life, could never come to fruition but is maintained through the thought of what could have been. It stemmed from the realisation that although there was still something strong there between us, it would never grow into anything more than it had been in the fleeting months at the start of the relationship. When lonely or in pain we can seek refuge in the glory days of our pasts and perhaps dream of a time when we can recapture these moments; however in reality we know that things, no matter how hard we want them, will never be what they once were. Before you realise what you have it is gone only remaining in the memory of feelings, places and song. Wonderful is the latest in a string of singles released since Archie emerged last year. It follows the release of the acclaimed songs Hung Up, Blackout and It Rains, all being a taste of Archie’s forthcoming debut album which fans have been treated to a sneak preview of during his touring last year.